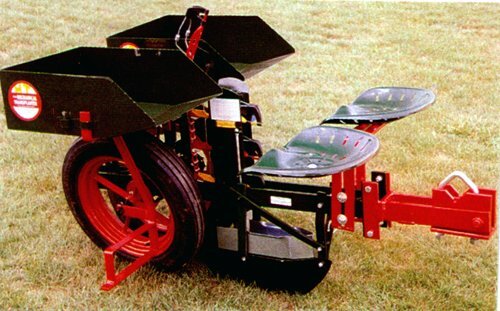 The Mechanical Transplanter Model 22C is the standard all purpose transplanter for setting bare root plants or pots and cells no larger than 1 1/2" wide. Plant spacings in the row are adjustable from 5 1/2" and up. 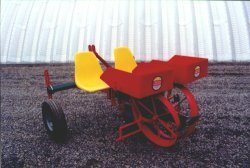 A potato planting attachment is also available for planting potatoes, garlic & onion sets. 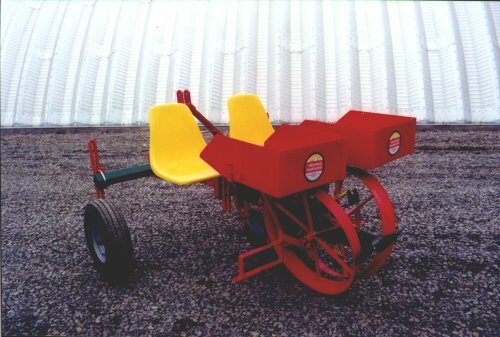 It is similar to Holland's model 1600. 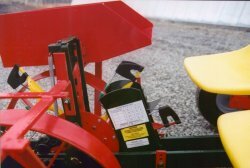 Multi-row planters can plant 18" rows and up on single toolbars, and 9" rows and up on tandem toolbars frames. From $1,580.00 per row. Call for our discounted prices. In Stock! !